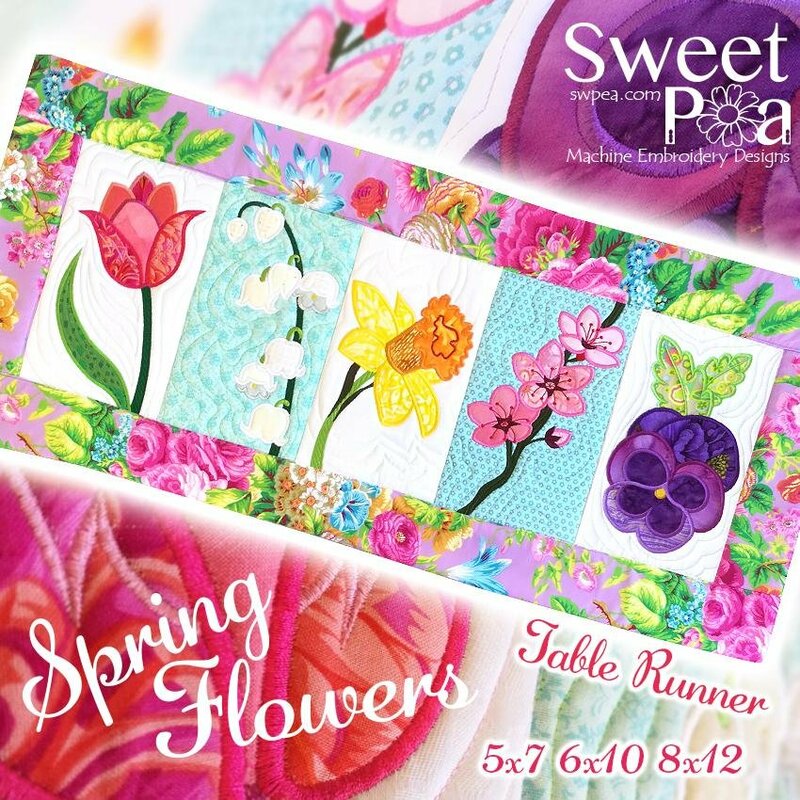 This table runner is made of five separate flowers that are appliques and quilted in the hoop and joined with a sewing machine. You will receive all of the files which you can use to make placemats, bags, wall hangings, etc. Use your own embroidery machine or we will have a very limited supply of machines that you can use if you don't have your own.